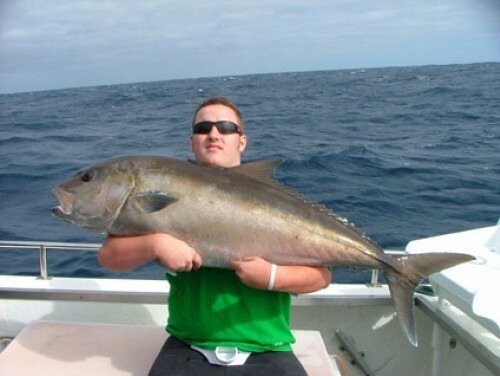 Saltwatercharters WA specialise in Fishing trips, Whole Boat charters, River cruises, Abrohlos Island fishing, Rottnest Island trips and surfing adventures. For fishing we have 3 types of charters , Day, Night and Samson Jigging. Aboard the Interceptor you will experience deepsea fishing at its best in the blue waters of the Indian Ocean. We have the fastest fishing charter boat in Hillarys to get you to the secret spots in Craigs black book in order to catch your fish of a lifetime. 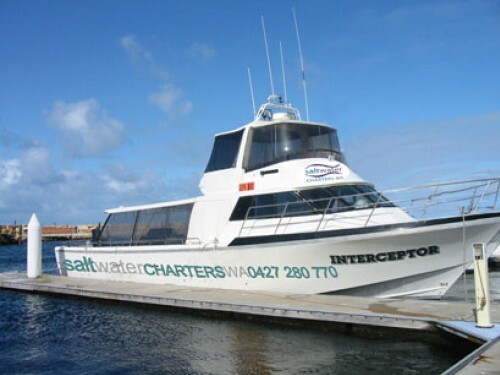 Our trips depart either from Hillarys boat Harbour or Fremantle East Street Jetty at 6am. On our fishing trips we target species such as – Dhufish, Red snapper, Pink snapper, King George Whiting , Baldchin Groper, Queen Snapper, Breaksea Cod, Samson Fish just to name a few. After eating a sumptuous provided lunch and a bit more fishing we get back into port at around 3 pm. We suggest you come down one day to see what was caught and compare it with the others! Every crewmember is trained to release undersize and unwanted fish back to the sea floor. We will make sure your catch is dealt with humanly then put straight into the ice box to give you the best quality fish to take with you. Why not try something different from November to March we offer night fishing aboard our well lit boat. We departing from Hillarys Marina at 6pm. Firstly we head west into the setting sun so you can sit back and enjoy the view as you anticipate the big one waiting! Our main targets for night fishing are: – pink snapper, Dhufish ,Red snapper,and Mulloway. We arrive back at Hillarys Marina to sort the catch at 2 am. Don’t forget to bring some warm clothes. Jigging for Samson fish is an amazing experience and certainly not to be missed! Samson Fish are one of the strongest and best fighting fish in the world and a challenge. During the summer months they aggregate offshore in Perth to spawn. This is a world renown event and gives us the chance to experience the shear strength of the freight trains of the ocean. You can test your endurance in trying to land a 20 to 40 kilo fish! 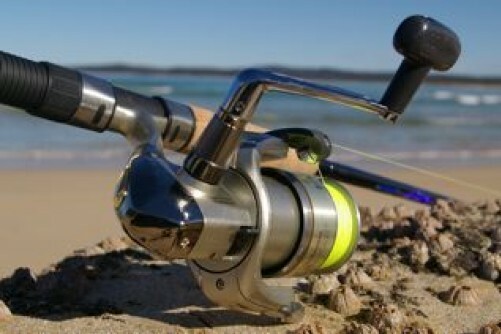 We have the most experienced crew in and around Perth to provide you with expert jigging techniques and the latest gear to try. 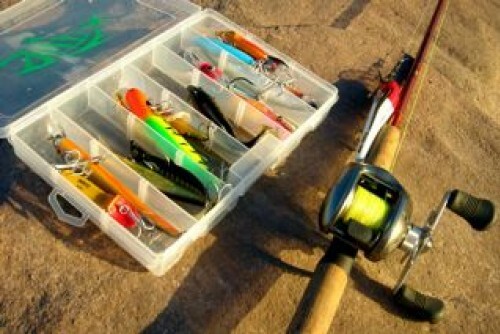 You need to bring your own jigs but use our finest rods and reels which are provided. Our crew have been taught by the authorities on release techniques to ensure these mighty fish come back again next year. To celebrate a special occasion why not hire out the interceptor! You are guaranteed a memorable experience. We can help you plan your next big event such as a Staff party, Birthday, Wedding, Hens/Buck night, Corporate event. Prices: $185 Day Fishing ($200 weekend) , $200 Night ($220 weekend), $200 Samson ($220 weekend), $1800 (4 hours) then $300 ph over 4 hrs for Special Charters. Departure Time: Day TRips 6am, Night Trips 6pm. Saltwater Charters WA is a a family owned and operated business supporting the local community clubs and organisations. Our aim is to teach the next generation of fishermen to love and respect our local waters and to fish responsibly for the future. Craig the skipper has over 20 years experience fishing our coastline. Using this wealth of knowledge and his black book he can consistently put you onto the fish and find the next secret spot! All of our crew are well trained to release all undersize and unwanted species back in the minimum time to maximise survival rates and on how to keep your fish fresh. The “Interceptor” is a safe and very seaworthy vessel with every luxury item onboard. She is kept up to all survey standards and undergoes regular and comprehensive maintenance schedules. We use only the best quality rods , reels and tackle and offer the freshest bait available – you will not get pink squid!. Ice boxes provided to keep your catch and drinks chilled. Let us show you how a day on the water should be!